Looking along Ohope Beach near the start of the walkway, but after climbing a number of steps. The walk started in cloudy weather, but soon it was almost cloudless and quite hot. Looking down towards Otarawairere Bay. 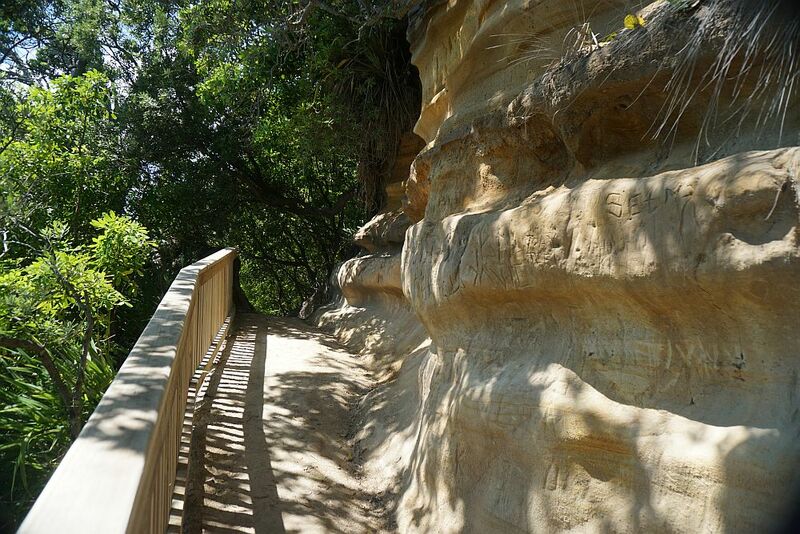 The wind, weather, and varied layers of soil have formed distinctive ridges along the walkway. 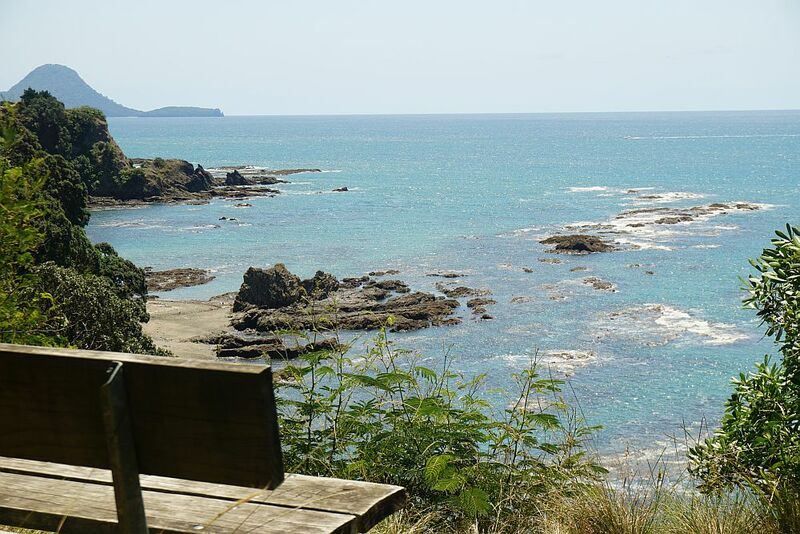 The railings and steps between Ohope and Otarawairere Bay are currently being renewed. 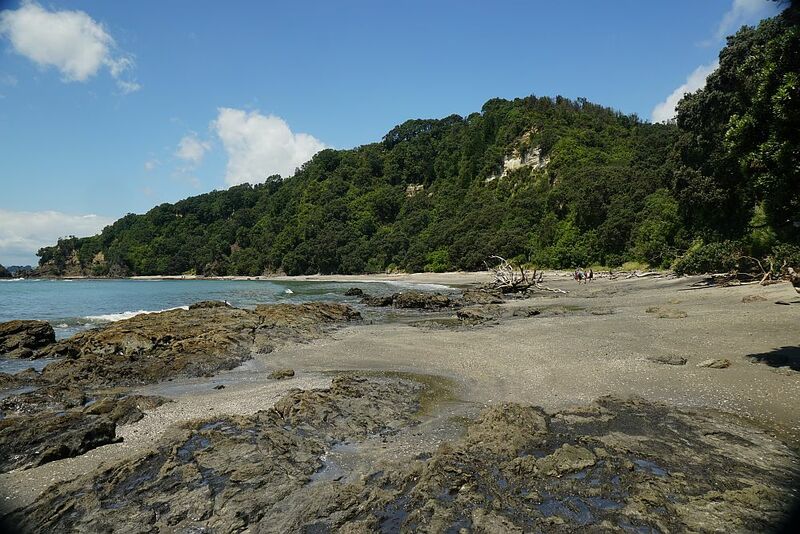 Eastern end of Otarawairere Bay. 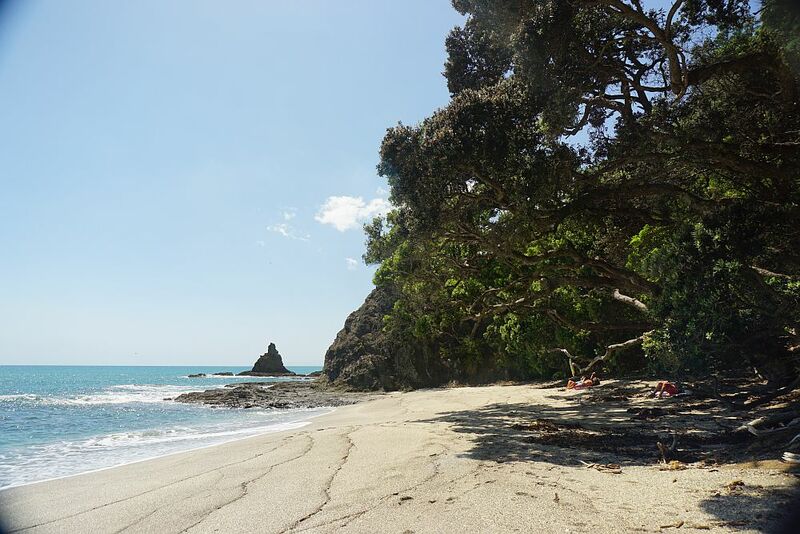 The track between the beach and the village at Otarawairere is in good condition, with a number of steps near the bottom and at the top. This is the start of the track back down to the beach. Total walking time in both directions was about 30 minutes. 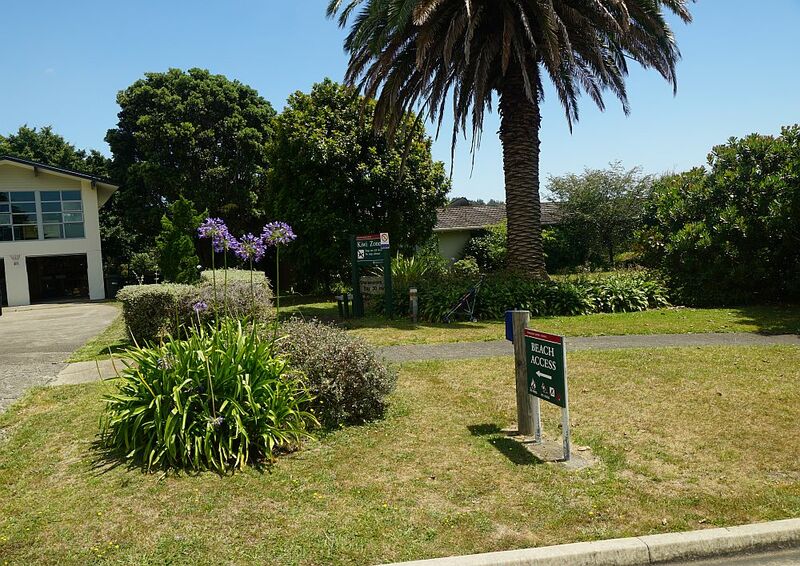 A great spot for a picnic lunch, a large pohutukawa tree at the start of the track up to Otarawairere village. 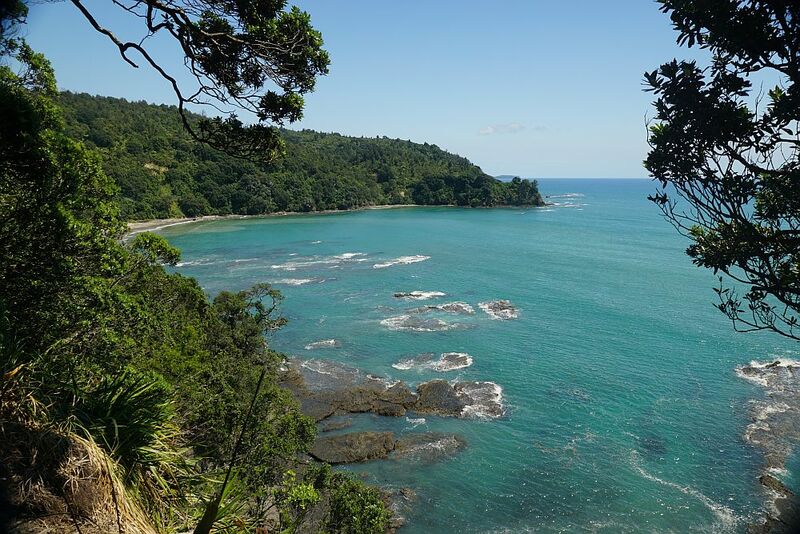 Looking along the length of Otarawairere Bay. 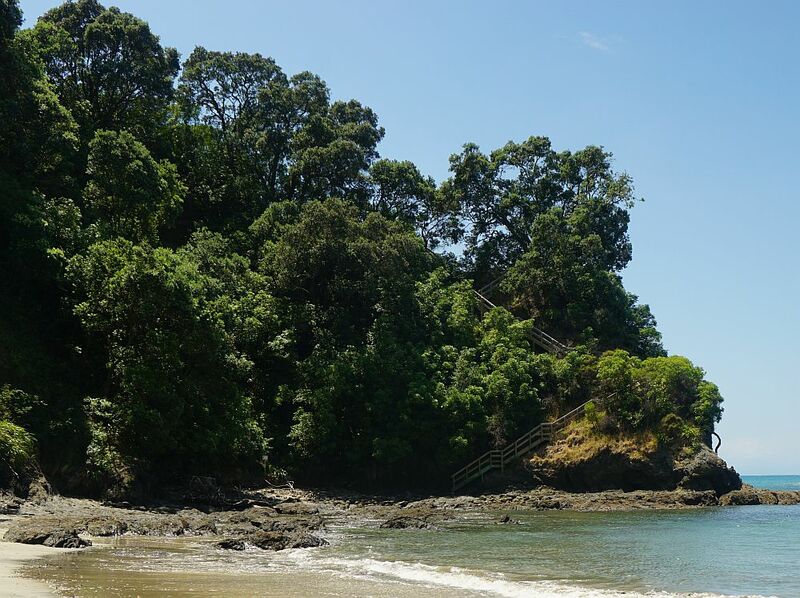 The track climbs steeply from the end of the bay with a set of recently built steps. Looking from the lunch spot used on the previous walk. 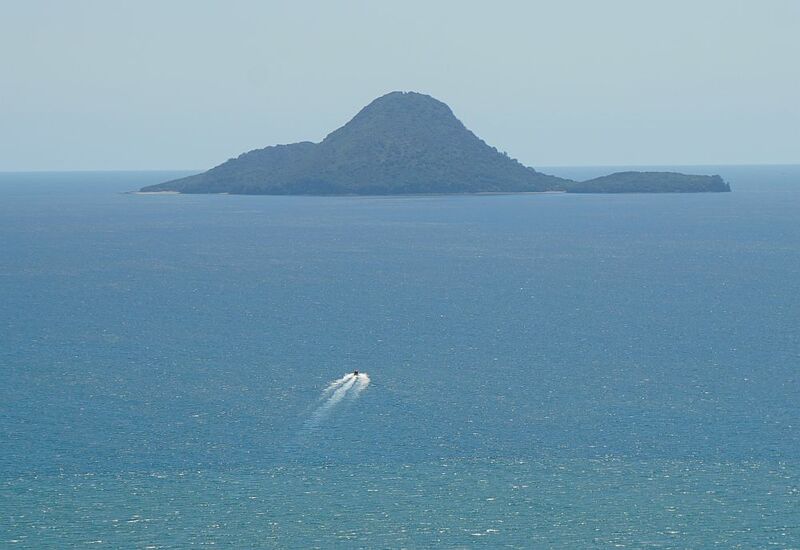 This time there was a clear view of Whale Island. White Island was also visible, but indistinct in a slight haze. A boat on its way towards Whale Island. Presumably with passengers on a guided visit to the island or dolphin swims by the island. 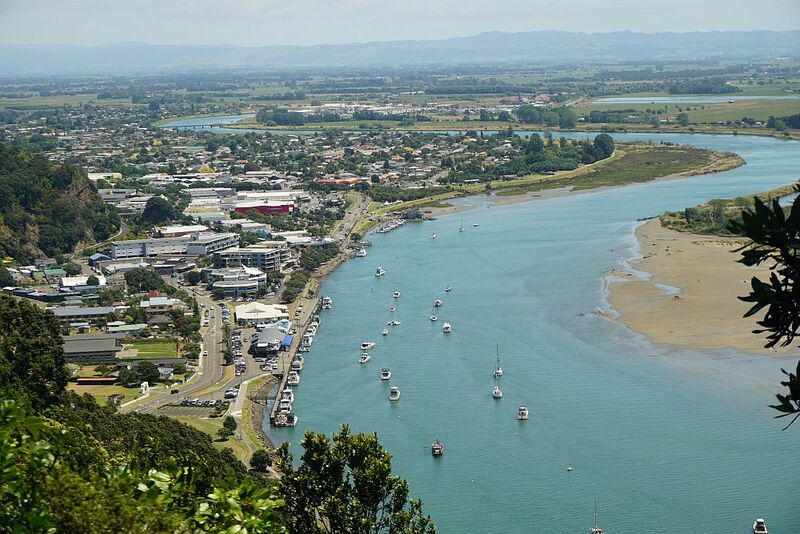 Looking down on Whakatane and Whakatane River from the walkway. The top of Mt Edgecumbe can be seen int the distance to the left. 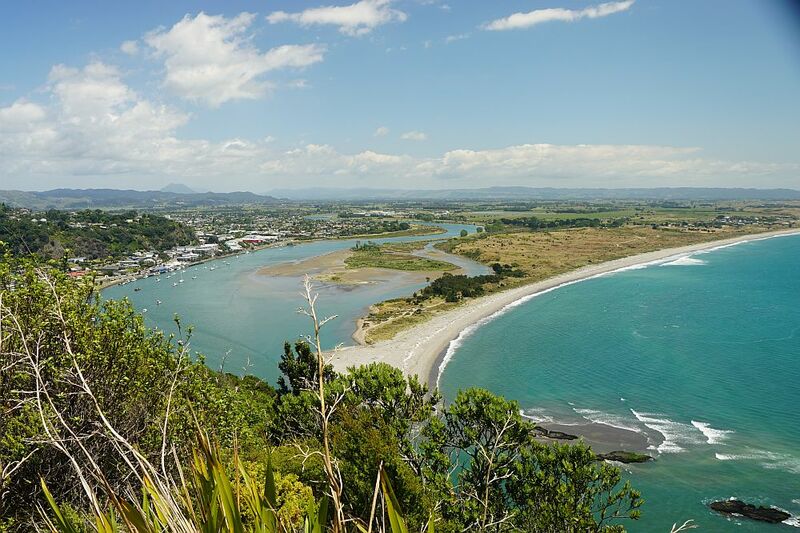 A view of Whakatane further along the walkway. 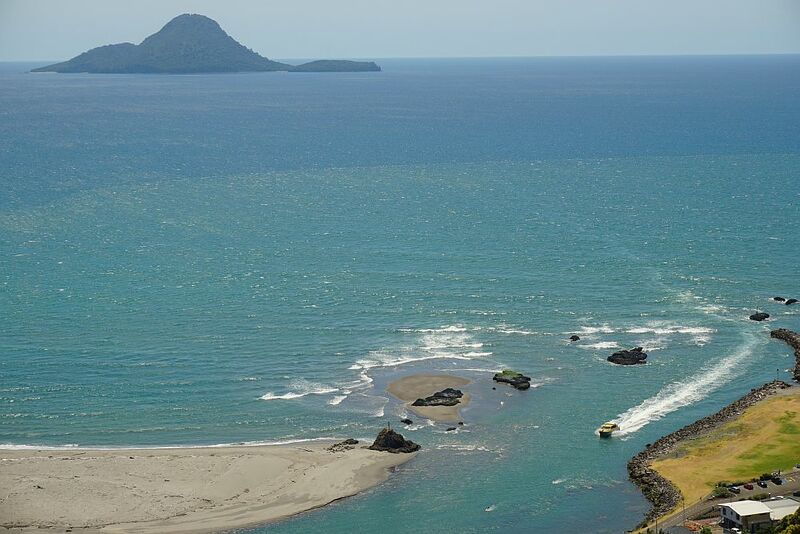 A boat crossing the bar into Whakatane River. 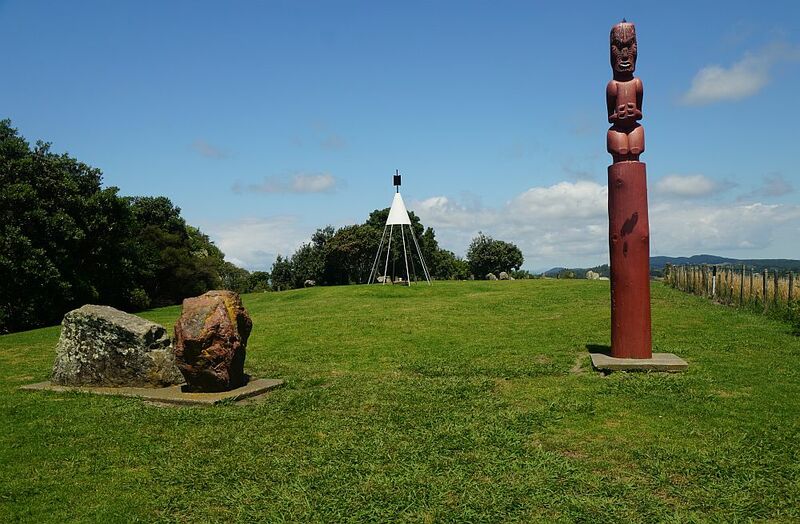 The statue of Wairaka on the Turuturu rock can be seen in the lower centre of the photo. 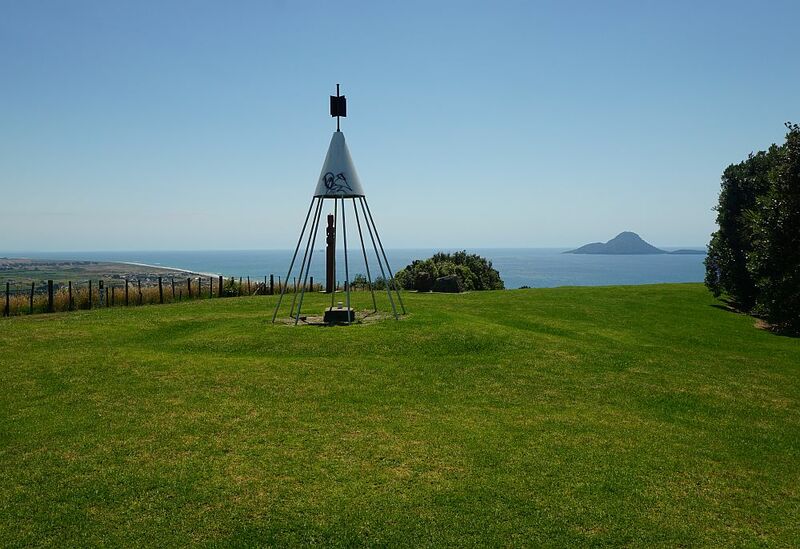 Toi’s Pa at Kohi Point lookout. The carved statue which is also visible on the photo above. Plaques on the stones tell the story of Toi and the pa site. 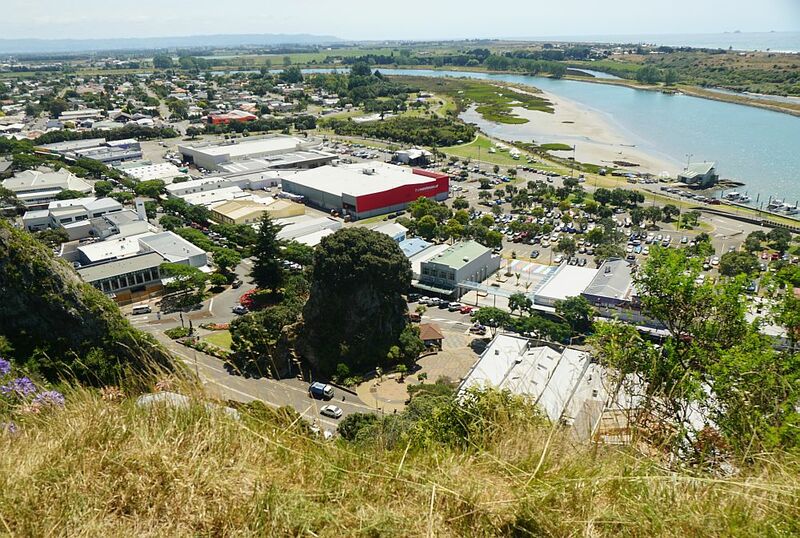 A closer look at the centre of Whakatane from the Puketapu lookout above ‘the rock’. 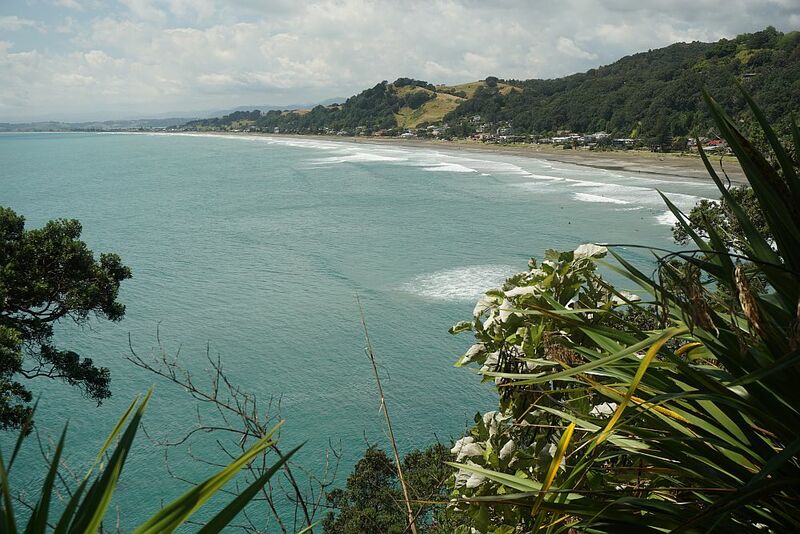 A view towards the river mouth and the Pacific Ocean from Puketapu lookout. The total time was about 3 hours and almost 8.5 km. 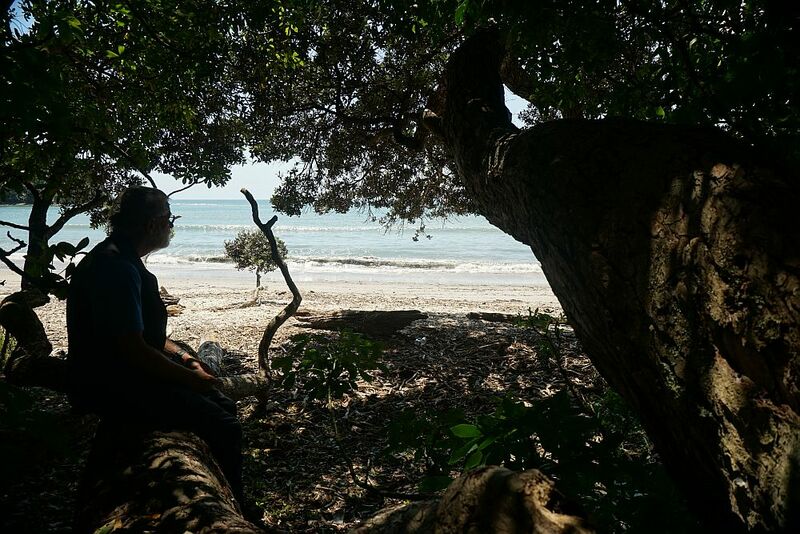 Walked on January 23, 2015. The track was walked again on December 13, 2018. Numerous steps have been built along the track on the steeper sections, and handrails have been installed where there are steep dropoffs. The track was in good condition. The elevation profile shows the elevation changes along the route, although this excludes the side track to Otarawairere village. 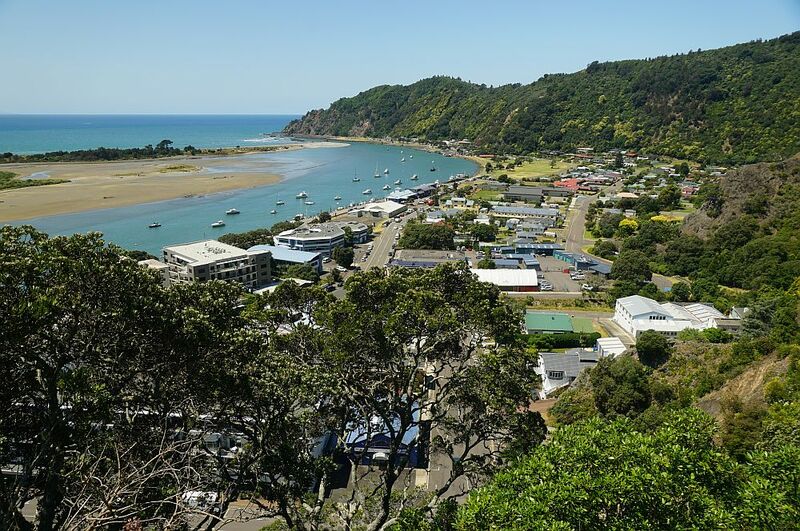 GPS inaccuracies show Ohope Beach as being at a higher elevation than Otarawairere Beach.